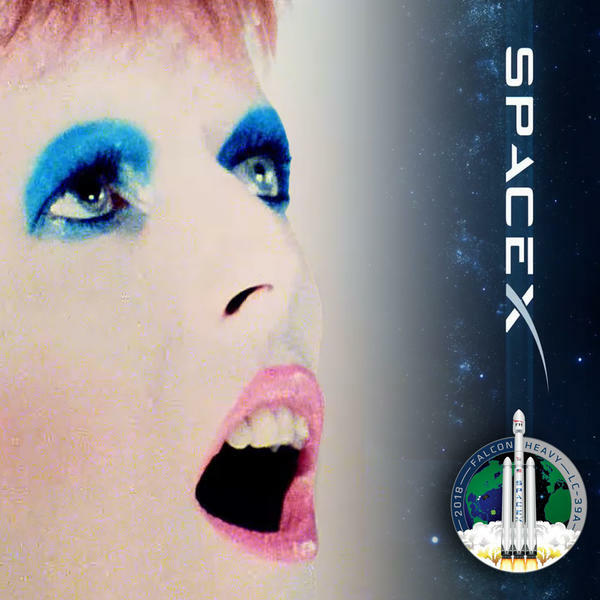 History was made today (Tuesday Feb 6) with the very emotional launch of Elon Musk’s midnight cherry Tesla Roadster car into space, with David Bowie’s Life on Mars? as the soundtrack, and a character called Starman in the driving seat. Mr Musk’s SpaceX used a super rocket – the Falcon Heavy vehicle – to send the car into orbit around Mars, deploying technology with twice the launch power of any existing rocket, and double that of the Saturn V, used for the Apollo lunar missions. Before the launch, Mr Musk explained that the Roadster “will be in deep space for a billion years or so, if it doesn't blow up on ascent”. He needn’t have worried, the rocket successfully took off at 3.45pm local time with an estimated half a million people gathered in Florida to watch. At the convertible’s wheel is SpaceX’s ‘Starman’, a dummy in a white-and-black-trimmed spacesuit, and on the soundtrack is another nod to Bowie: his 1969, pre-Apollo 11 song, Space Oddity, on repeat for eternity. Imagine that, Bowie still playing somewhere in space as Earth is eventually swallowed by our sun. Sorry for the spoiler if you didn’t know about that. Earlier in the week, in an animated YouTube video to promote the launch, Life On Mars? played as the Falcon Heavy was shown in its various flight stages. Watch the video here.